I cannot believe it has been 3 months since my last post!! How crazy is that? I am so sorry guys. 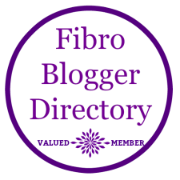 I am sure you have just been dying to know what has been going on in my sad little life and have so many questions about fibro and other chronic illnesses. I know you have just missed out on tons of information that I could have imparted from my little brain to your little brains….. LOL.. who am I kidding…. do you even remember me? LOL, I am the goofy girl….errr…woman whose body decided it was done working properly and is now giving her a fit. Well, I am back. I have been very busy the last few months trying to take a little better care of me which mainly translated into lots of naps. Therapy-wise, I did some massage therapy/myofascial release, dry needling, CBD oil, aquatherapy, and yoga. I wish I could tell you that one of them cured me but I am still just as broken as before. I believe that all of them helped with certain aspects of my pain at least a little bit. On the medical front, I tried a spinal block , and added Topomax and Flexaril to my daily drug regimen. I will never, EVER do a spinal block again. I think the Topomax is actually helping with the pain but is killing my brain cells even faster than the Lyrica. Mental Health-wise, I have been really struggling with my depression. REALLY struggling. Thank goodness I have an awesome therapist who is willing to talk to me on the phone or by text almost anytime day or night when I need it. She has really gotten me through some tough times. The pain and the loneliness have really gotten to me. I am hanging in there though. Um…on the personal front….I changed my hairstyle for the first time in 20-something years and colored it for the first time EVER and love it!! The whole point of going to the hair salon was to try and minimize hair maintenance tho so I wish I had not let myself get talked into the highlights. I tried online dating as an attempt to cure the loneliness……HATED it. More to come on that front. Um, I am considering moving to Florida before the East Tennessee winter and spring weather take a toll on my body again. I hate to leave my family and home but I just don’t think I can take another year. Here in ETN there is a saying, “If you don’t like the weather, just wait 15 minutes.” The weather is seriously bipolar. Especially in the spring. There are fronts coming and going all of the time and it kills my body every time the weather changes. I think the environment of the beach will be soothing to my soul too. Have any of you relocated to be in a better climate for your chronic illness? Hmmmm, what else? ….oh, disability hearing is coming up next week. Hoping the stress doesn’t put me into a flare before then. As I am sure most of you can relate, I HAVE to get this disability. Have to. So… I am sure that I am leaving out some important information but that is at least the important highlights of my last 3 months. Now we can get back to the business of the blog. Please comment and let me know what subjects you would like to hear more about or would like me to research for you. As long as it has nothing to do with politics we are good. Hope you guys are doing well and had an awesome summer. I made it to the pool with my bestie and the youngest several times and even managed to kayak about 3 or 4 times with someone to help do the lifting of the boat and getting me in and out.. lol. Loads of fun. Ok guys, talk to you soon! !